"The Knight is like a super charged rocket, moving swiftly through the air, nothing can stand or fly in his way. He is fully equipped to tackle any eventuality; move forward with all the passion and reason you have in your being." 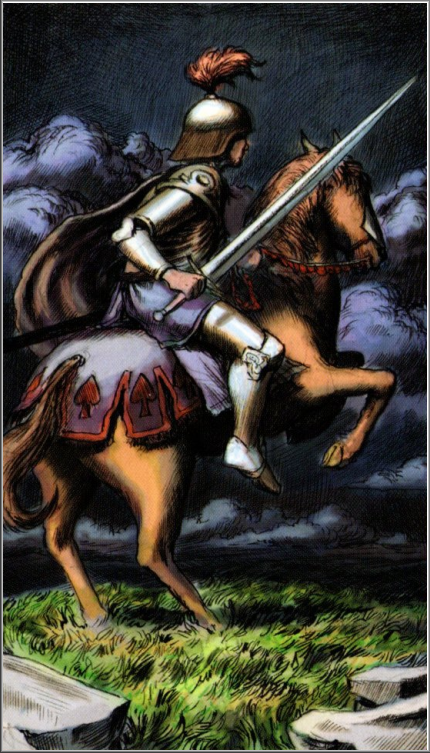 The Knight of Swords in the sacred divine Tarot symbolizes the Universal Principle and Worldly Archetype of Passionate Thinking and Intentionality. 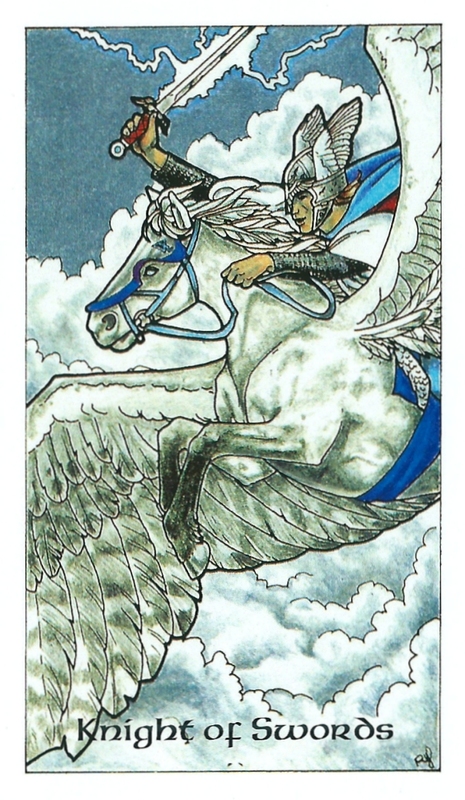 The Knight of Swords is a visual portraiture of a Knight in the air flying over water. 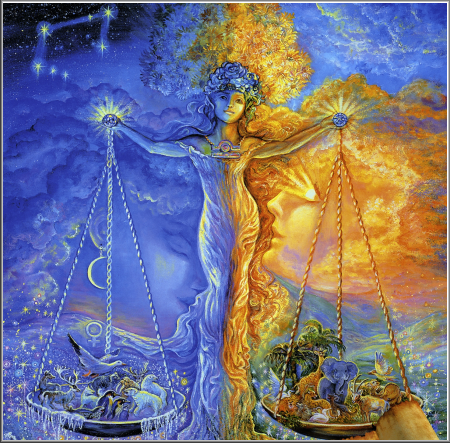 In alchemy, the element of air is associated with the mind, and water is associated with emotion. Combining the elements of water and air, metaphorically, is a symbol for passionate thinking. Here we have a picture of the focused, intentional, determined mind. 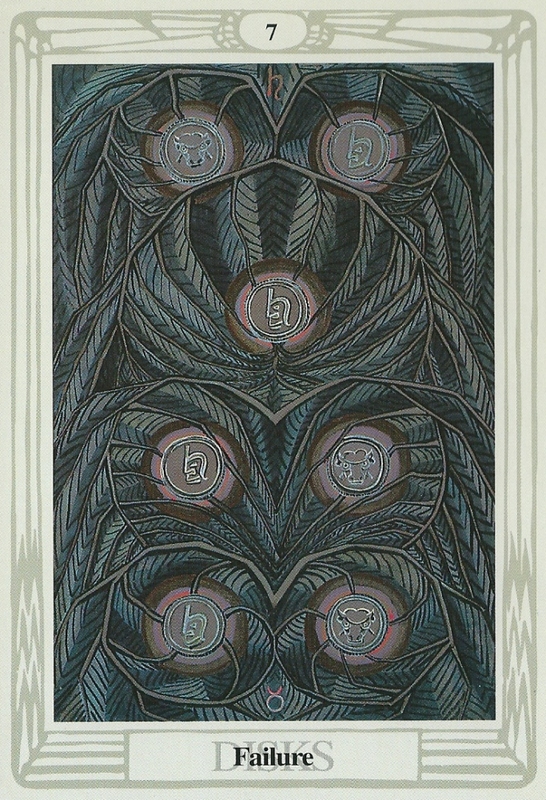 The three swallows represent the union of heart, mind and action all proceeding in the same direction. They serve as important reminders that one�s focus, will, and intention must be aligned and moving in the same direction before a goal can be obtained. 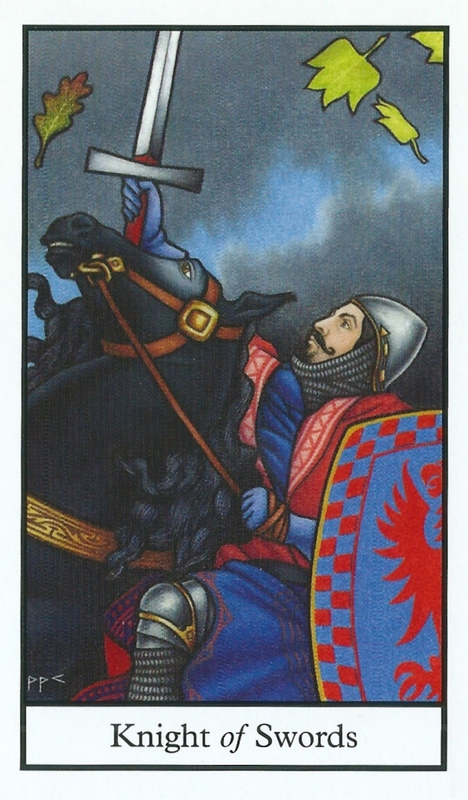 "The Knight holds a dagger and a sword; each a symbol for the receptive and dynamic thinking required to execute a goal. In Oriental terms, the dagger would be a metaphor for yin (feminine) energy and the sword would be a symbol for yang (masculine) energy. The yin/yang symbol in Oriental philosophy is associated with the two energies that are required to create balance and unity." Etched within the four wings attached to the Knight�s helmet are the words north, south, east and west. Each direction is a symbol for the four levels of consciousness: mental, emotional, spiritual and physical, which are combined as a picture for unified consciousness. At the centre of the four wings is a six pointed star, a universal symbol associated with illumination, clarity and spiritual guidance. 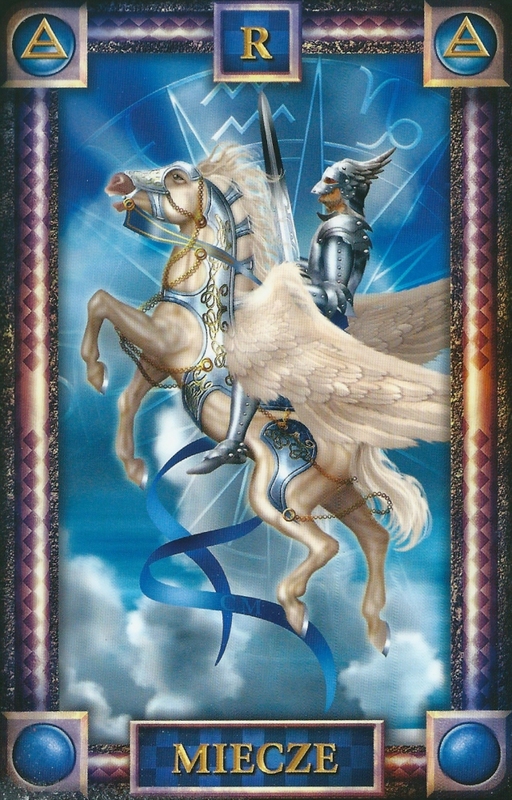 The Knight of Swords is associated with the air sign months of Aquarius, Libra, and Gemini, or with air sign people. Since this is a Knight, this could represent an older man or older mastery of passionate thinking and mental determination. 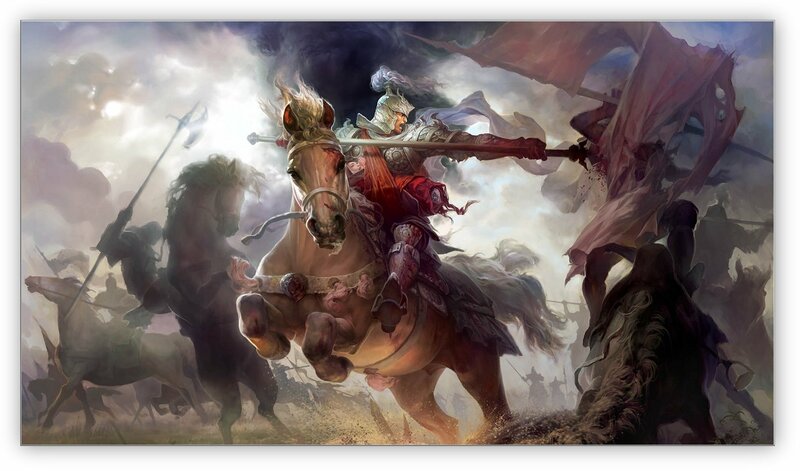 "Powerful fluid thinking is represented by the Knight�s gold armour. Gold, in alchemy, was associated with malleability, fluidity, and spiritual radiance. 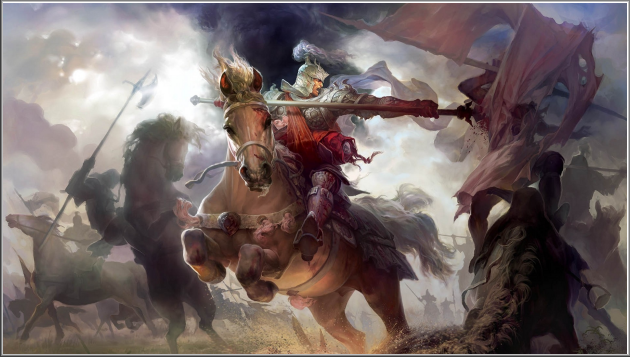 The horse, pictured with all of the Knights, is a symbol of power and intuitive understanding. Horses, cross-culturally, are associated with intense desires and instincts." 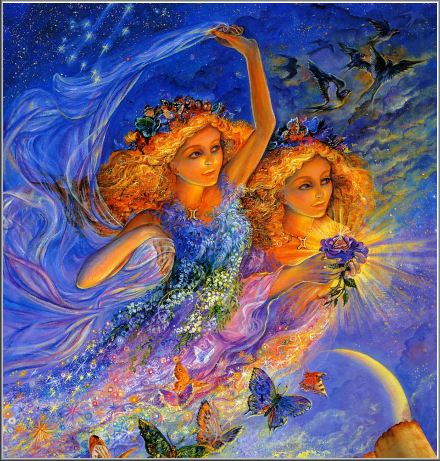 During the air sign months of Aquarius (January 21st - February 21st), Gemini (May 21st � June 21st) and Libra (September 21st � October 21st), would be a great time to move in new directions with clarity of purpose and strong will. This is the state of mind that contains no doubt. 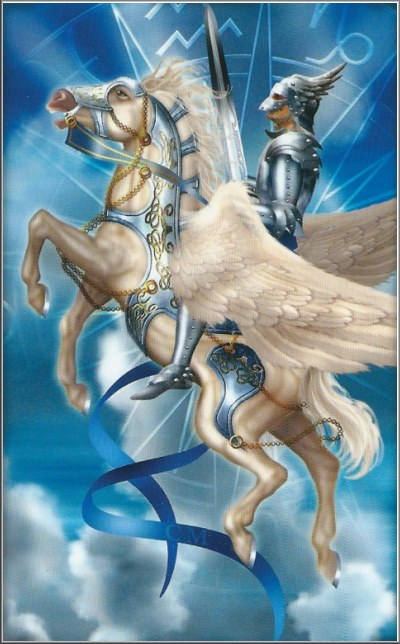 The Knight of Swords could be an air sign person or older man who is an Aquarius, Gemini or Libra. This person could be an outer mirror of your own focus, will and determination to move in new directions with undaunted clarity. 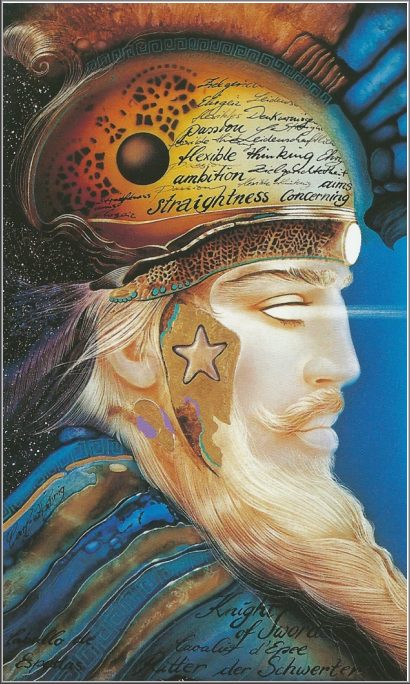 Or, in the air sign months, an older man could provide new opportunities that could take you in new directions, personally and professionally, in the air sign months of Aquarius, Gemini or Libra. 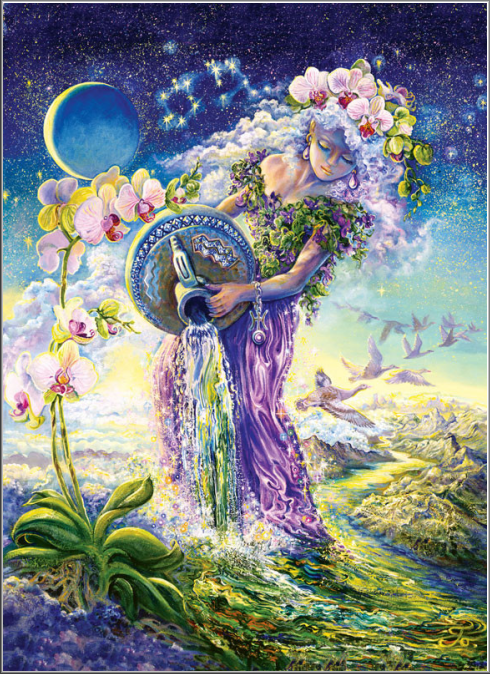 "The air sign months would be a good time to set things in motion, especially if there is clarity of purpose within all parts of your nature. The heart or emotional nature (water) supports the ideas, clarity and direction of the mind (air)." 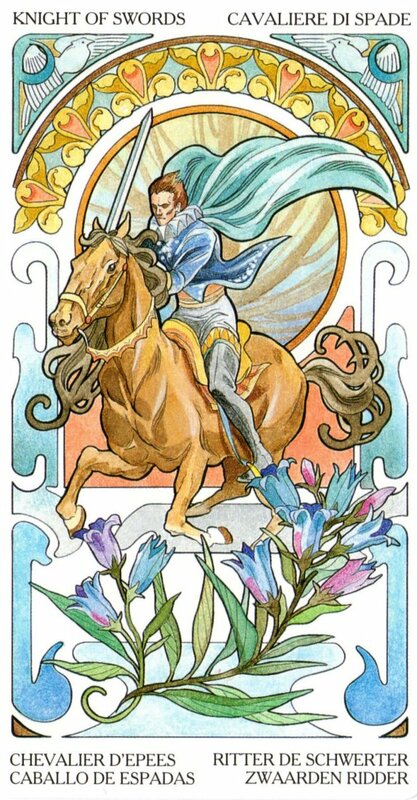 For women, the Knight of Swords may also represent an aspect of their animus, the internal masculine or dynamic energy that is expressing itself with relentless determination, focus and will. 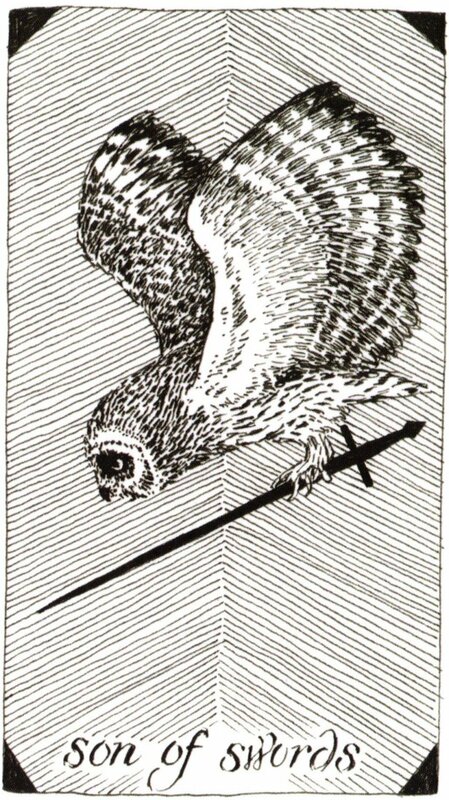 In the brilliance of The Animals Divine Tarot by Lisa Hunt, the symbol which represents the Knight of Swords so perfectly is Kutkinnaku from the Siberian mythos. 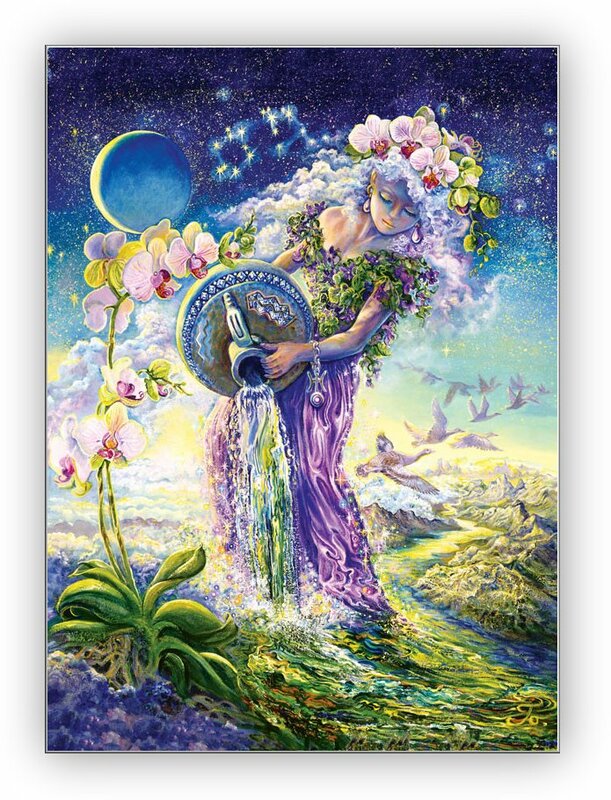 Aspects that shine within this archetype are challenges, conflict and possible opposition. The raven symbolizes a darker aspect of our being. It is wise and shrewd and could be invaluable when facing our innermost conflicts. The icicles represent change and metamorphosis. The snow offers quietude during a time of disillusionment. Its properties can serve as a means of insulating the earth and providing a sanctuary amid chaos. The tree roots connect us with the underworld as well as the aboveworld. The flowing cape is energetic. Despite the hibernating tendencies of the winter season, our spirits can still ignite warm and inspiring ideas. "The Koryak people of Eastern Siberia believed in a big raven spirit named Kutkinnaku. Kutkinnaku was sent by the Supreme Being to help humans conduct daily affairs. Kutkinnaku aided in hunting, fishing, and was a participant in various rituals such as spiritual ceremonies. He also taught the Koryak how to utilize fire as a means of warding off evil spirits. Kutkinnaku had the ability to transform from human form into raven form and was once sent by the Supreme Being up to the sky to help stop unrelenting rains. 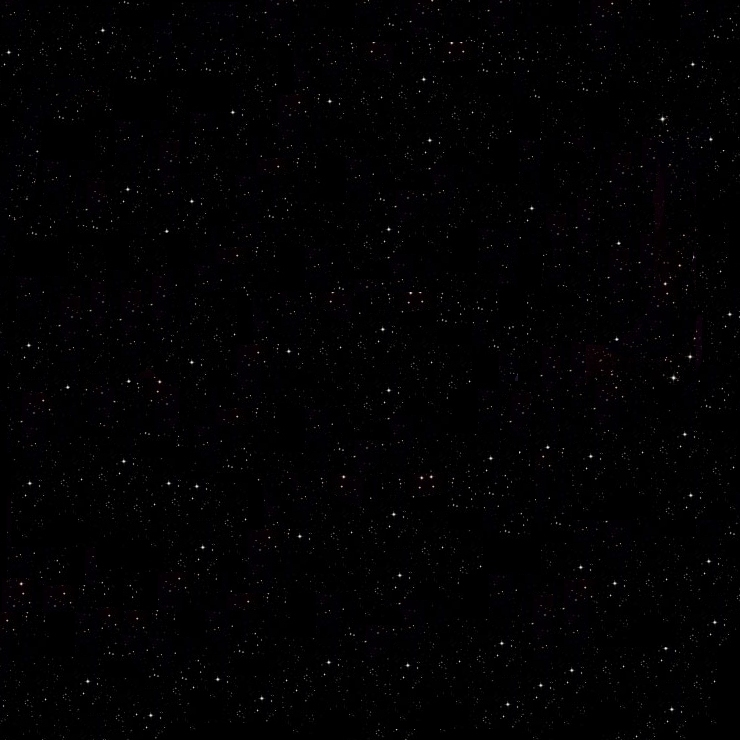 To the Koryak people, all natural phenomena were personified and were thought to be inhabited by souls. 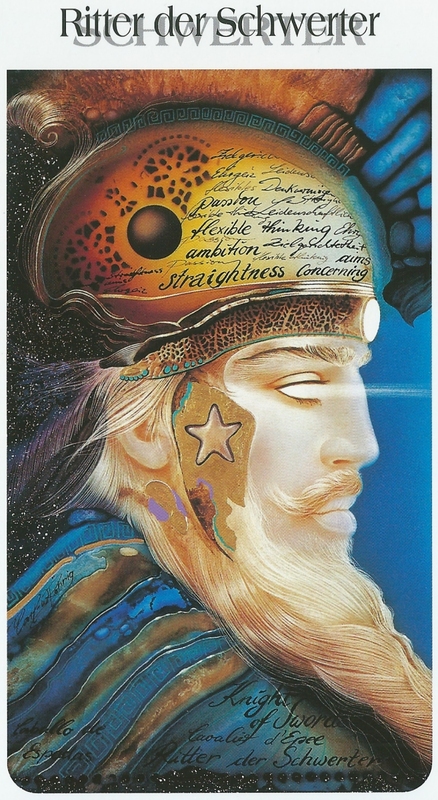 The stars, moon, and other elements of the cosmos were anthropomorphized. The Koryak reverence for all living things was echoed in their ceremonial rituals. Animal skins were often donned as a means of being transformed into the animal and shamans often recited the name of Big Raven during shamanistic rituals. Kutkinnaku�s participation in human affairs is a reminder that we should remain proactive and socially involved. If we witness or are victim to injustice, it is important that we do not turn an apathetic eye to events that could have far-reaching implications. We may have to fight and exert effort to preserve what is right, but the conflicts that arise in life are unavoidable. Instead of rejecting the challenges that may be presented to us, it is important to face them with competence, rationalism, and dignity." 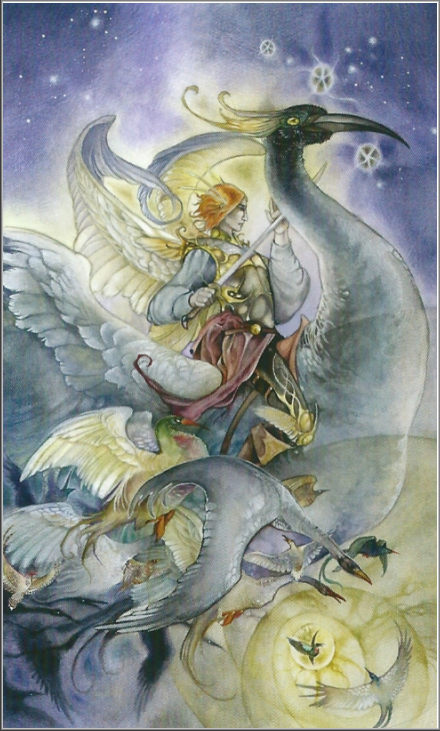 Within the elegant Shadowscapes Companion by Stephanie Pui-Mun Law and Barbara Moore, the Knight of Swords is the brave hero who rushes headlong into conflict to defend his beliefs. He is blunt and comes directly to his point. Dissembling is not something he is capable of. This can be seen as a refreshing honesty and true loyalty or a lack of tact and discretion. He does not let emotion come between him and his purpose. Emotion in his matters is extraneous, muddying what is obvious, allowing room for doubt or fear. An emotionless knight is fearless, invincible, and does not acknowledge the possibility of defeat. He does not back down once he has engaged, for he knows no other option but Victory. This Knight is a domineering personality. He rides upon the King of the birds, and together they are like a spear through the heavens. He is a seeker, slicing through the skies with his sword and his wings. A storm gathers in his wake, born of the turbulence his winged army creates, and he is lifted high above it all to pierce through the chaos. The sword is a beacon to his followers. Lift me up, spirits of sky. Guide me with visions of wisdom from Owl. 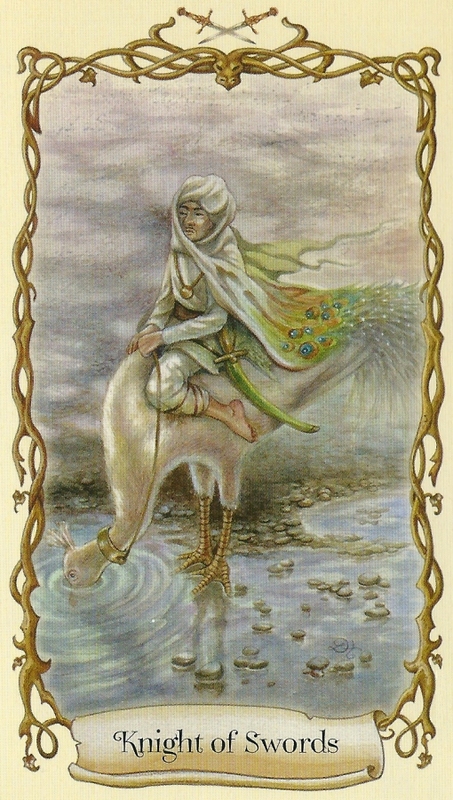 The Peacock of Karttikeya is the being who represents the Knight of Swords in the gorgeous Fantastical Creatures Tarot, illustrated by Lisa Hunt and written by D.J. Conway. One of the Hindu gods of war, Karttikeya is usually portrayed with six heads and six pairs of arms and legs. His only interests are fighting, war, revenge, and dark magick. 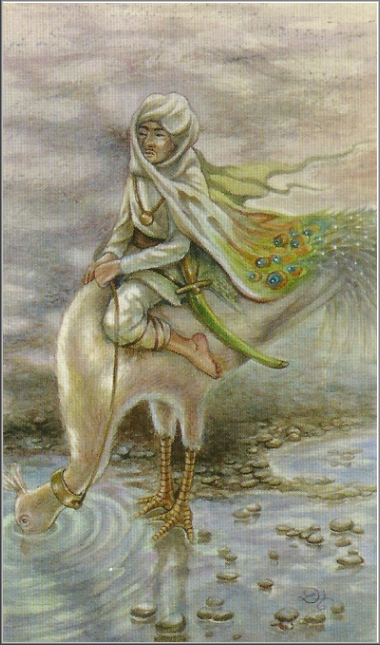 Karttikeya rides about the world on an enormous peacock named Paravani. 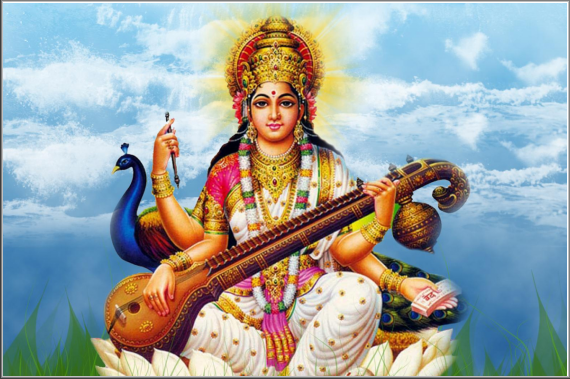 The symbolic bird is also associated with the god Krishna, who wears peacock feathers in his hair, and Sarasvati, the goddess of knowledge and the arts. 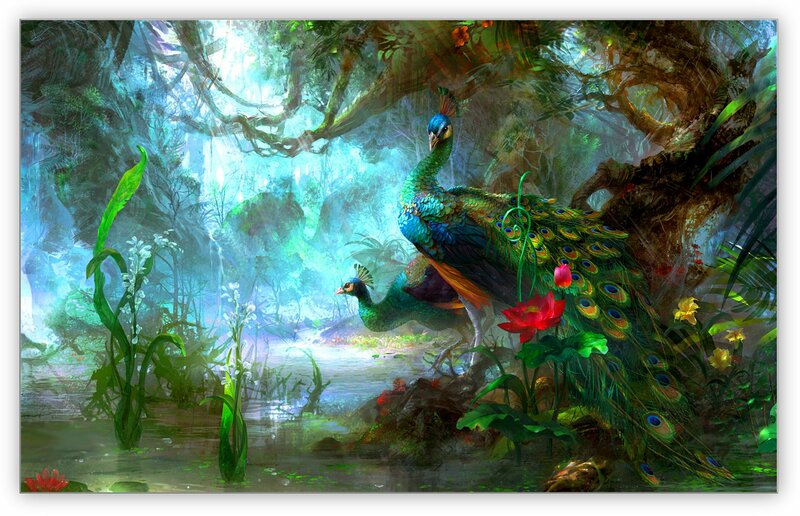 "The peacock is connected with sun deities and its feathers are thought to bring good luck. 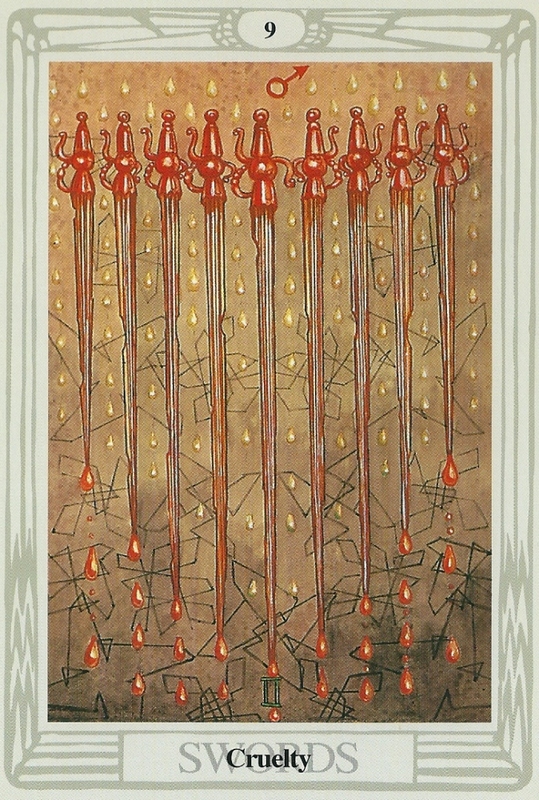 The pool of water on the card represents the complete gamut of human emotions from love to hatred. 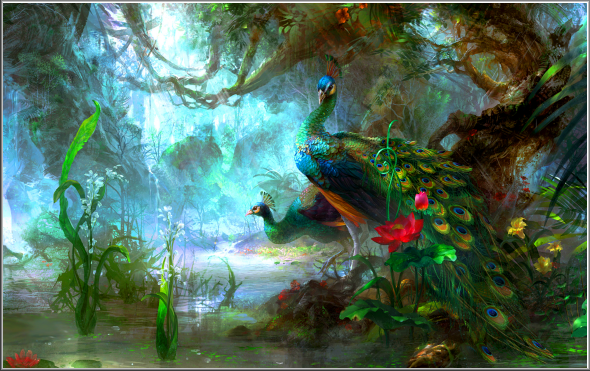 When making a decision, one should cautiously pause, as does the peacock Paravani, in order to carefully evaluate the emotional situation." It is important in situations to think quickly and clearly in order to make timely decisions, but avoid making mistakes by misinterpreting information. Your forceful ideas may annoy others, so utmost care and attention is required. 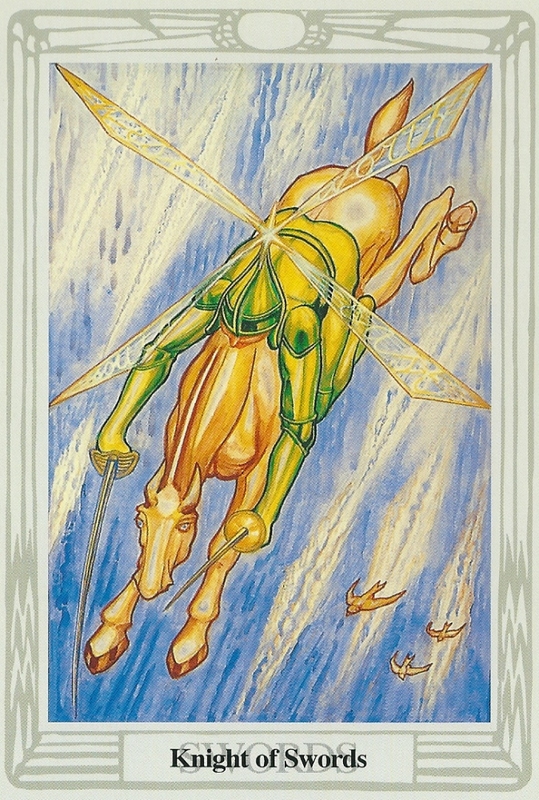 This card can be used when faced with strong opposition, bringing the disagreement out into the open to be resolved. 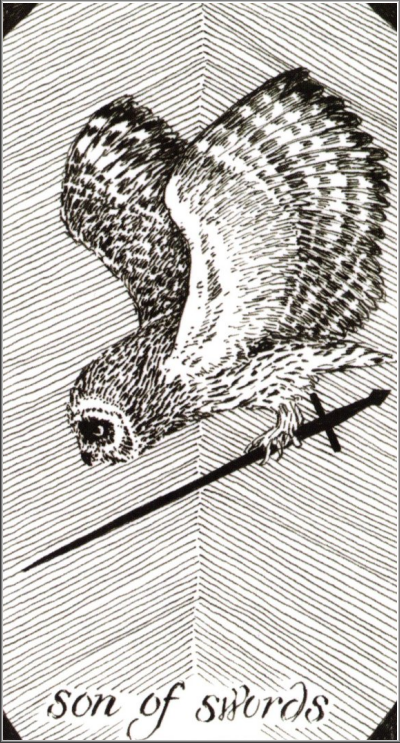 In the marvellous Haindl Tarot by Herman Haindl, the Knight of Swords is symbolized by Osiris, the Son of Swords. 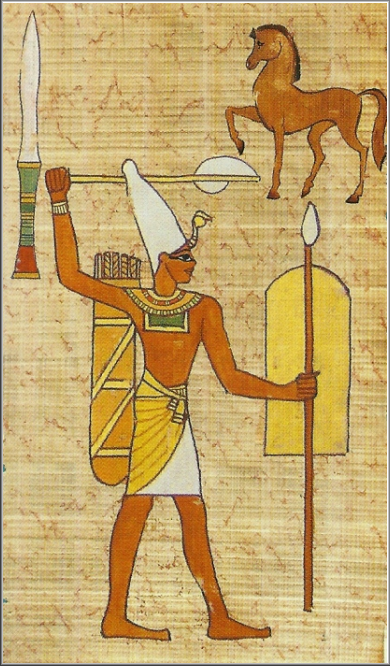 Osiris is a peaceful ruler; his crook and flail indicate his power derives from his role as teacher of agriculture. He is clothed in white, as the first mummy and the lord of the afterworld. This could represent someone gentle yet persuasive, an initiate into esoteric mysteries who bears the mantle of kindness within their heart. Looking at a more darker aspect, this could also manifest as weakness and corruption on the part of the Beholder. 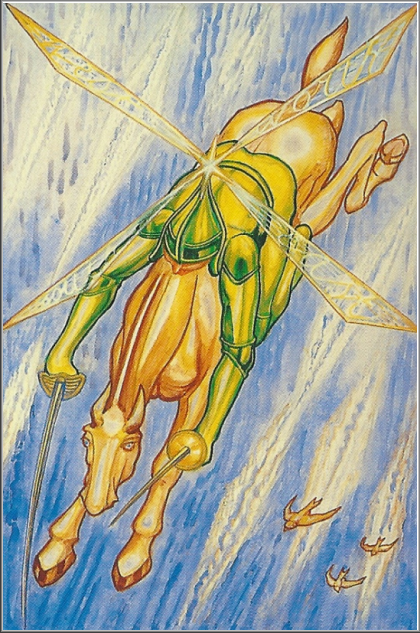 Within the distinct and ancient Kleopatra Tarot, the Knight of Swords is symbolized by Reshep; this is a man or a woman who acts in an energetic manner, a dependent and person who has a very combative temperament. 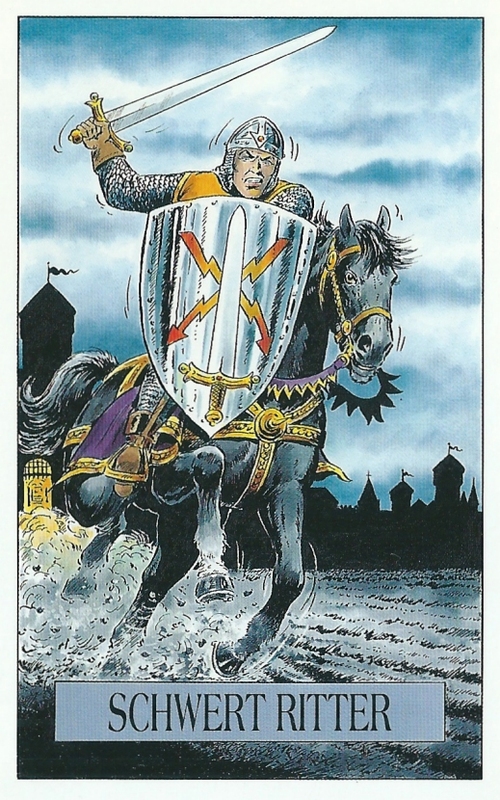 In the Connolly Tarot the Knight of Swords can also represent a courteous young man who has good intentions but his attitude can be overbearing, therefore steer clear of this young man; he could upset your plans and create trouble. 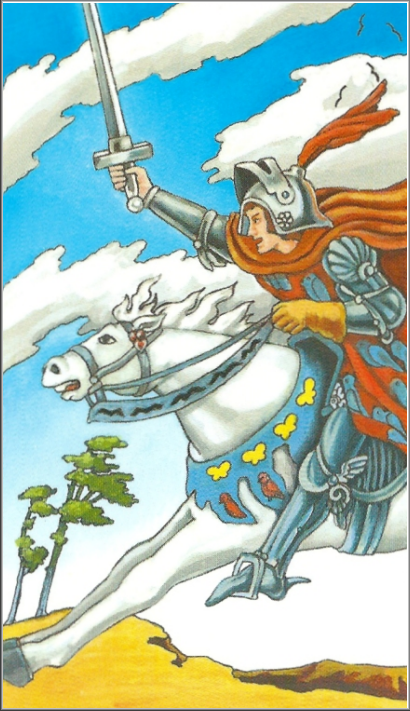 The gracious Robin Wood Tarot shows the Knight of Swords as a soldier, heroic and brave ready for the journey which will teach about himself and the world. This is a triumph over an opposition where a practical solution to a problem will be found. 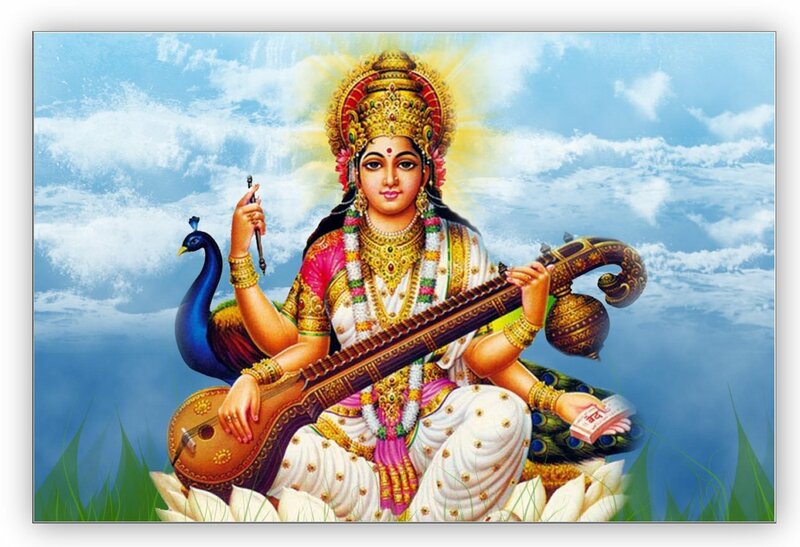 On the flip side if one is not careful, this could symbolize unsuccessful or erratic behavior, bad judgement and extravagance, where the Seeker makes an impulsive mistake. 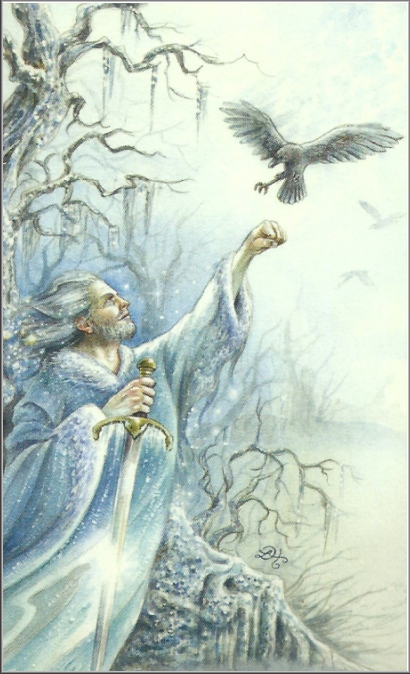 In the wonderful text, Learning the Tarot by Joan Bunning, the Knight of Swords is shown as a master of logic and reason. He has keen intellect that grasps the fine points of any subject. He speaks clearly, directly, and always with authority. His judgements are sure and free of emotion. Others rely on his lucid analyses of problems and solutions. On the negative side, this Knight is not a master of diplomacy. He can be downright tactless and rude. When he thinks you are wrong, you�ll know it. He�s convinced of his own superiority and has little tolerance for stupidity. He expects others to comply with his views. To him, feelings are irrelevant and illogical. 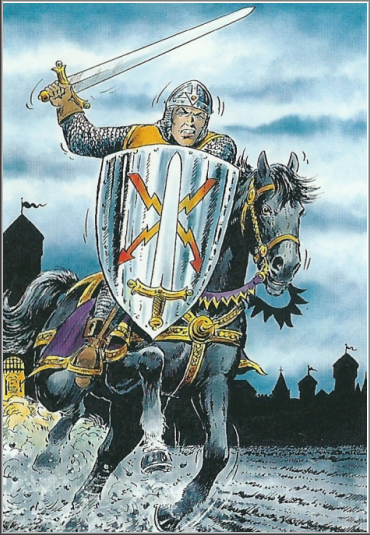 "If this Knight�s energy is missing, a dose of clear-sightedness may be called for. Are you too emotional? Let your head rule your heart next time. Do you overvalue the opinions of others? Trust your authority. Are you afraid to offend? Speak your mind. Let the Knight of Swords introduce you to his world of reason and self-assurance. Allow his Awesome energy to scatter your enemies!" 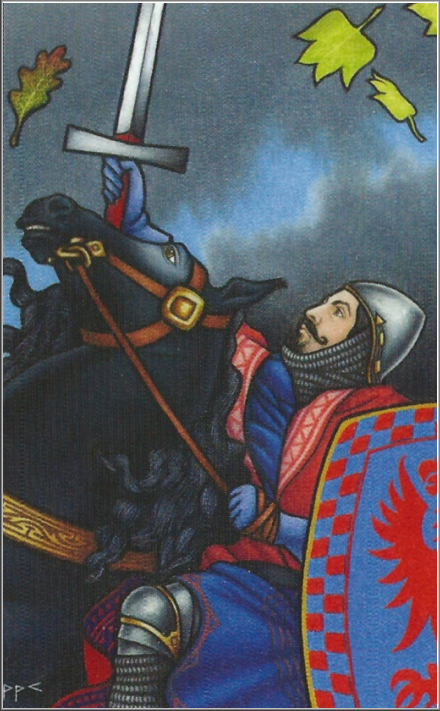 Michael Tsarion in his thesis on the Tarot gives a Qabalistic view on the Knight of Swords. 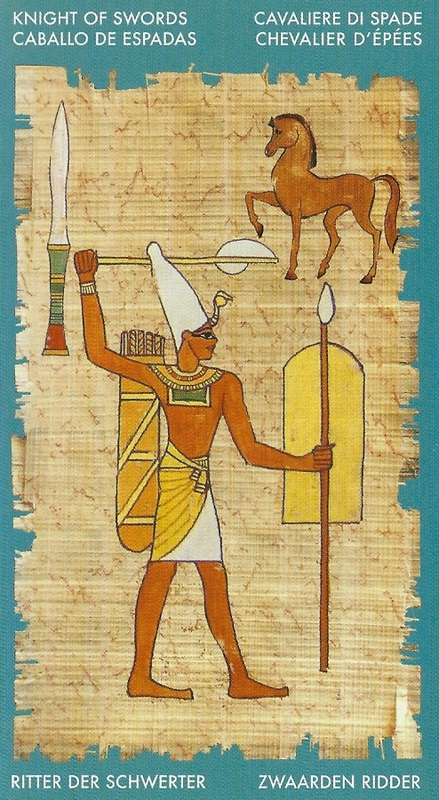 He points out that the Knight is Chokmah in Yetzirah, Fire of Air. 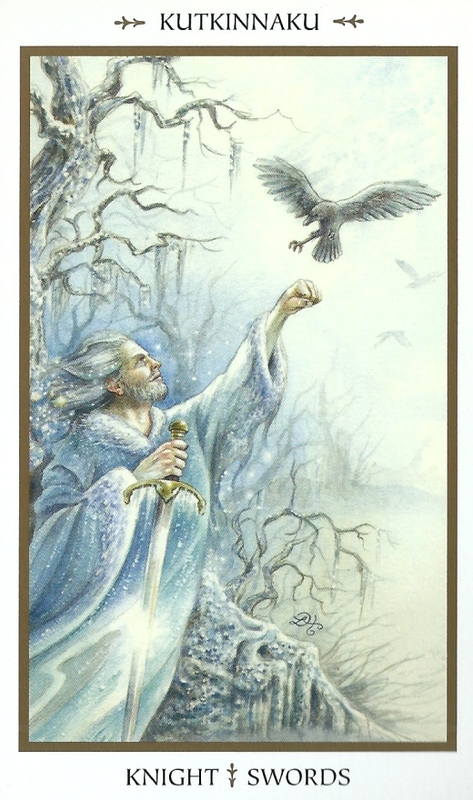 This is Will directing Intellect, ruling the 8 and 9 of Swords, throned on the 9 of Swords. This can represent men aged thirty-six and older. 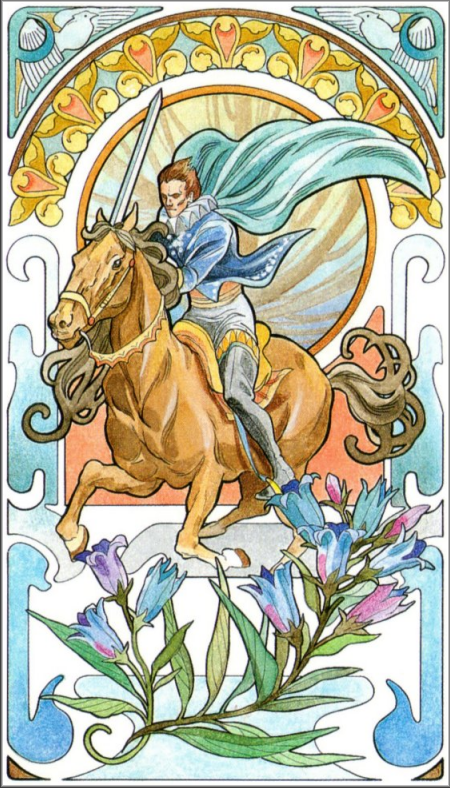 In the Tarot of the Sephiroth by Josephine Mori, Jill Stockwell and Dan Staroff, the Knight of Swords appears as the Prince of Swords. Pictured as a lithe, helmeted Prince bearing a Sword and Scimitar, he represents progress in communication, clarity and purposeful thought. 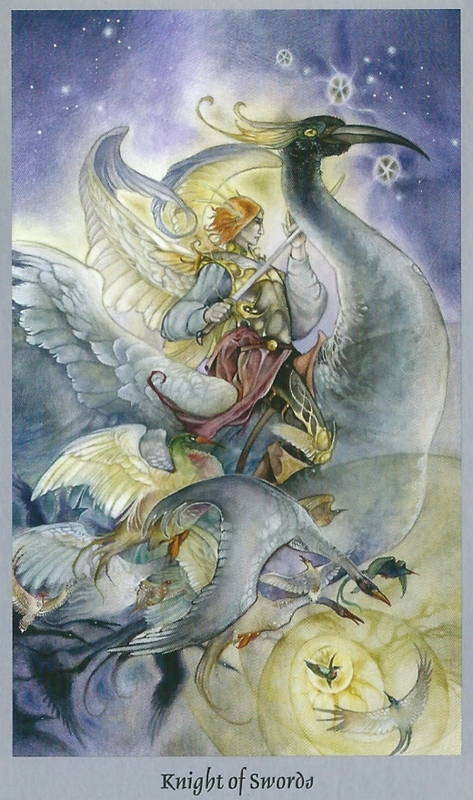 The Wild Unknown Tarot by Kim Krans shows the Knight of Swords as the Son of Swords. He is forceful and determined. 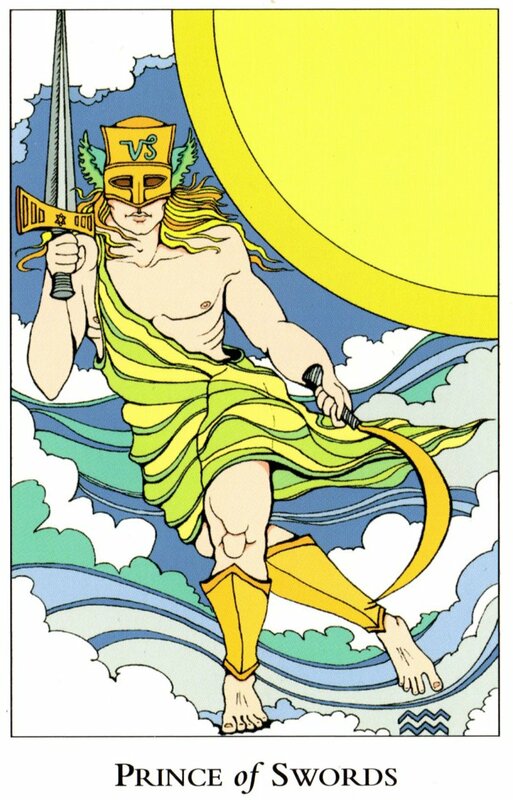 "A dynamic creature, the Son of Swords is a man of action, not of grace. He pushes forward toward his goal with urgency and determination. To top it off, he�s very well educated, making him a force to be reckoned with. Usually he�s seeking approval from the patient and just Father of Swords, who casts quite a shadow onto his son. Working with this stimulating and exhausting young man can prove to be a challenge." The Tarot Nouveau by Antonella Castelli, represents an able and courageous man, with a passionate, irascible and insolent nature. 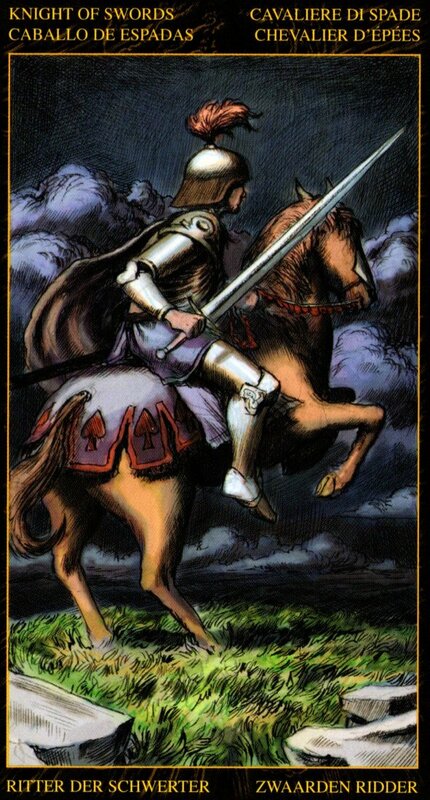 The Knight of Swords represents the fiery part of Air; he is the wind, the storm. He represents the violent power of motion applied to an apparently manageable element. He rules from the 21st degree of Taurus to the 20th degree of Gemini. He is a warrior helmed, and for his crest he bears a revolving wing. 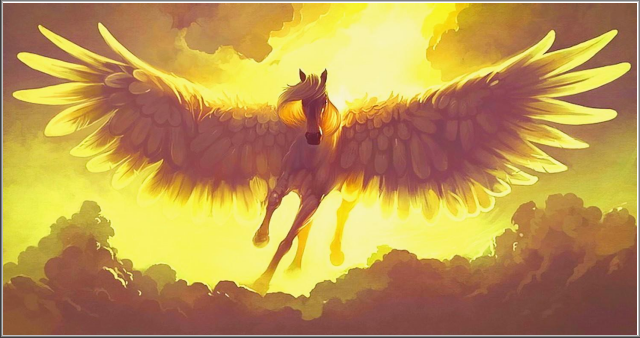 Mounted upon a maddened steed, he drives down the Heavens, the Spirit of the Tempest. In one hand is a sword, in the other a poniard. He represents the idea of attack. "The moral qualities of a person thus indicated are activity and skill, subtlety and cleverness. He is fierce, delicate and courageous, but altogether the prey of his idea, which comes to him as an inspiration without reflection." If ill-dignified, the vigour in all these qualities being absent, he is incapable of decision or purpose. Any action that he takes is easily brushed aside by opposition. Inadequate violence spells futility. 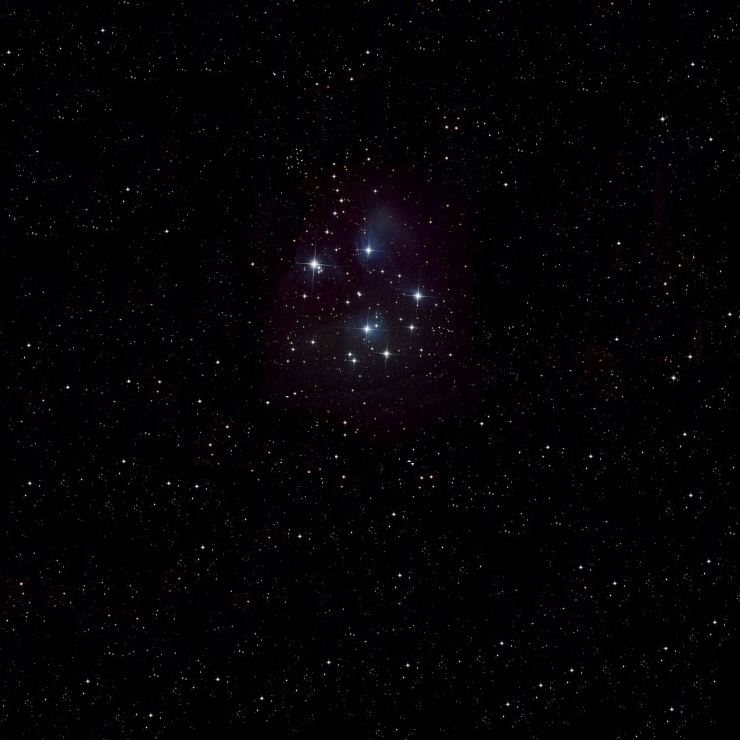 "In the Y� King, the fiery part of Air is represented by the 32nd hexagram, H�ng. This is the first occasion on which it has been simple to demonstrate the close technical parallelism which identifies Chinese thought and experience with that of the West. For the meaning is long continuance: �perseverance in well-doing, or continuously acting out the law of one�s being�, as Legge puts it in his note on the hexagram; and this seems incongruous with the Qabalistic idea of violent energy applied to the least stable of the elements. But the trigram of Air also indicates wood; and the hexagram may have suggested the irresistible flow of the sap, and its effect in strengthening the tree. This conjecture is supported by the warning in line 6: �The topmost line, divided shows its subject exciting himself to long continuance. There will be evil.�"
Allowing this, the image of �the extended flame of mind�, as Zoroaster calls it, may well be subjoined to the former description. 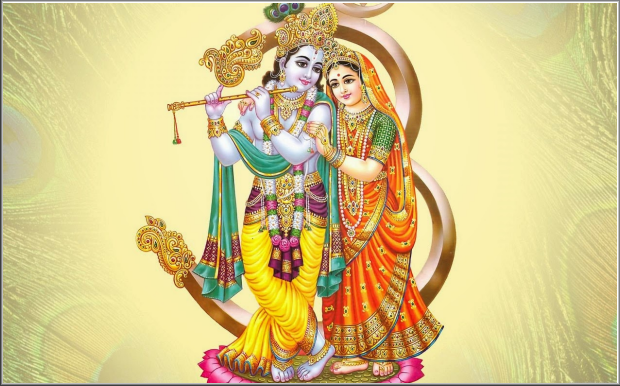 It is the True Will exploding the mind spontaneously. 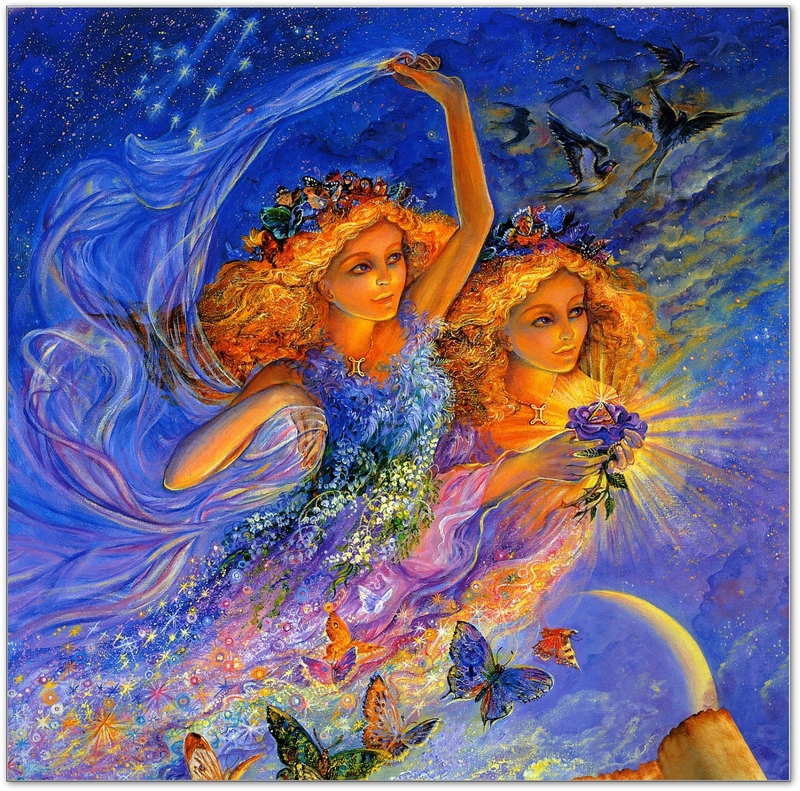 The influence of Taurus makes for steadiness, and that of the first decante of Gemini for inspiration. So let us picture him, �integer vitae scelerisque purus�, a light-shaft of the Ideal absorbing the entire life in concentrated aspiration, passing from earthy Taurus to exalted Gemini. Here, too, is shewn (as in the Y�) the danger to the subject of this symbol; for the first decan is the card called �Interference�; or, in the old pack, �Shortened Force�. The Tarot of the Ascension by Michele Penco and Pierluca Zizzi reminds that when the Knight comes up, one must fight for a just cause. Be noble and never arrogant, courageous and prepared, but never cowardly or disillusioned. 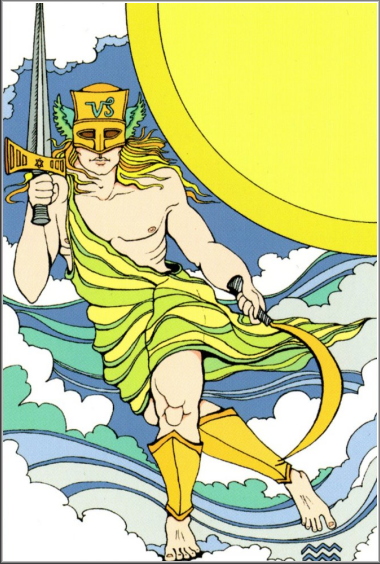 In the worldly thesis Understanding Aleister Crowley�s Thoth Tarot by Lon Milo DuQuette, the Knight of Swords is also known as The Lord of the Winds and Breezes, the King of the Spirits of Air and King of the Sylphs and Sylphides. 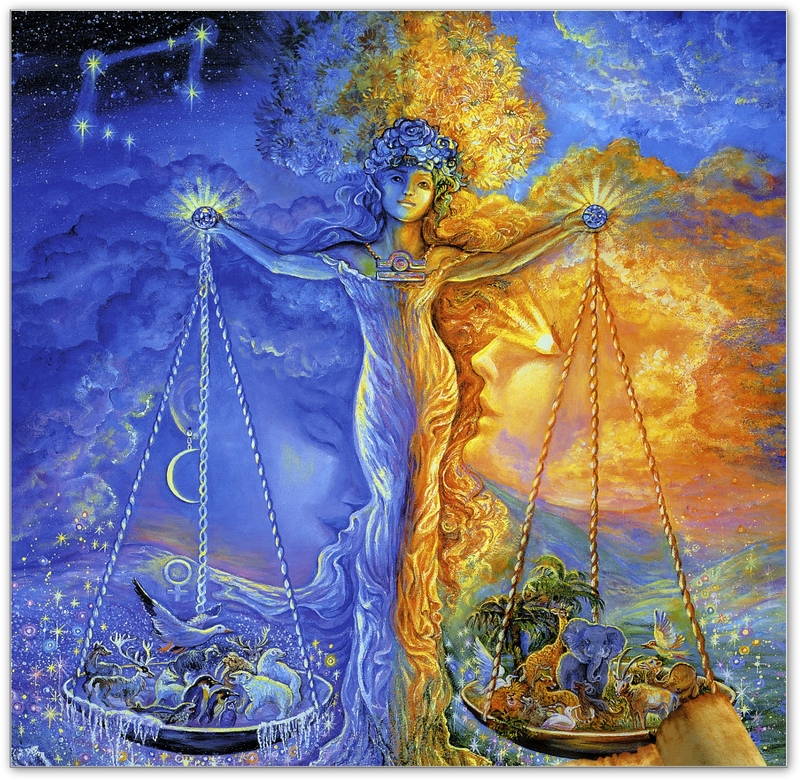 Astrologically the Knight sits on 20� Taurus to 20� Gemini (May 11th to June 10th). 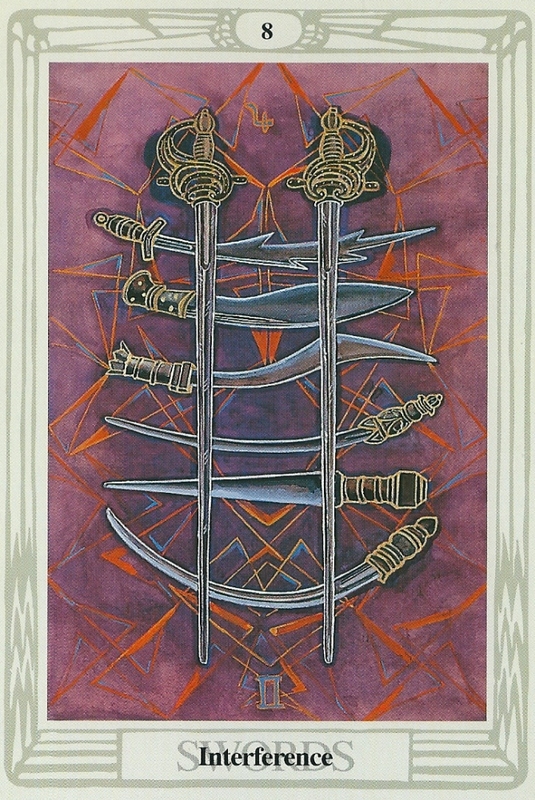 Rules Seven of Disks, Eight of Swords and Nine of Swords. His crest is a Winged Hexagram. 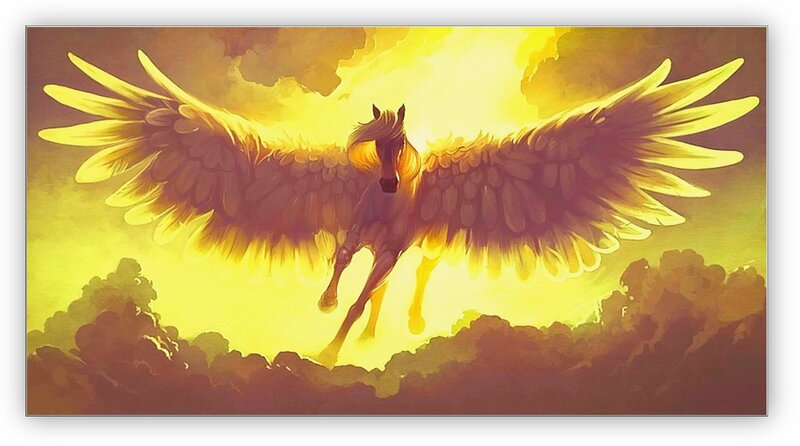 The symbols associated with him are the winged brown horse, driving clouds and drawn brown sword. His hair is dark brown and his eyes are dark. "I have done as you suggested to the Swords. Thank you Mr Crowley. You were quite right." 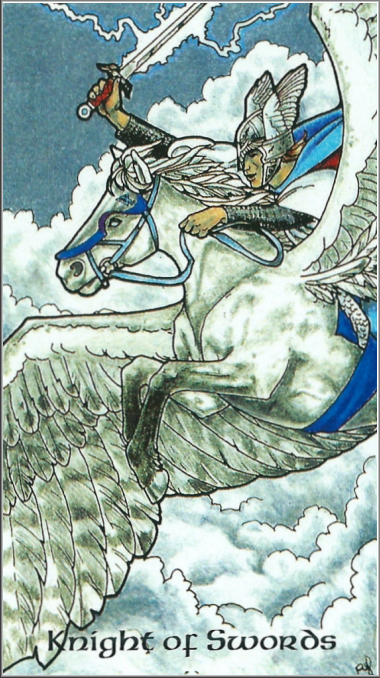 The author states; Swords are the suit of air and, as we begin our examination of these cards, I must point out a design motif that appears repeatedly in all the cards of this suit � wings. 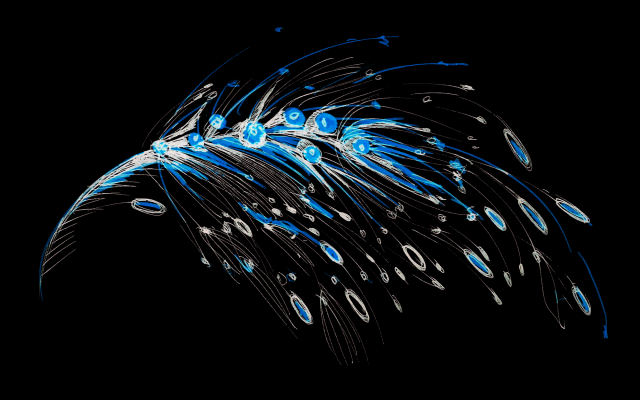 Lady Harris incorporates angular and highly stylized wings everywhere! They may not always look like wings, but that is what they are. Beginning with the Knight of Swords, we see that what appear at first to be four propeller blades spinning atop his pointed helmet are actually four triangular wings sprouting from his back. They are transparent and veined, like those of a dragonfly. Perhaps there are only two wings that are moving so fast they appear as four. Please take a moment and look at the Queen, Prince, and Princess of Swords, and locate the marvelous angular wings on these figures. Now look at all the small cards of the suit and see the backgrounds festooned with these stylized wings � some balanced, almost pinwheel in form; some twisted, broken, stretched, and distorted. It has been suggested that these figures represent magical sigils drawn from planetary kameas, or magical squares. 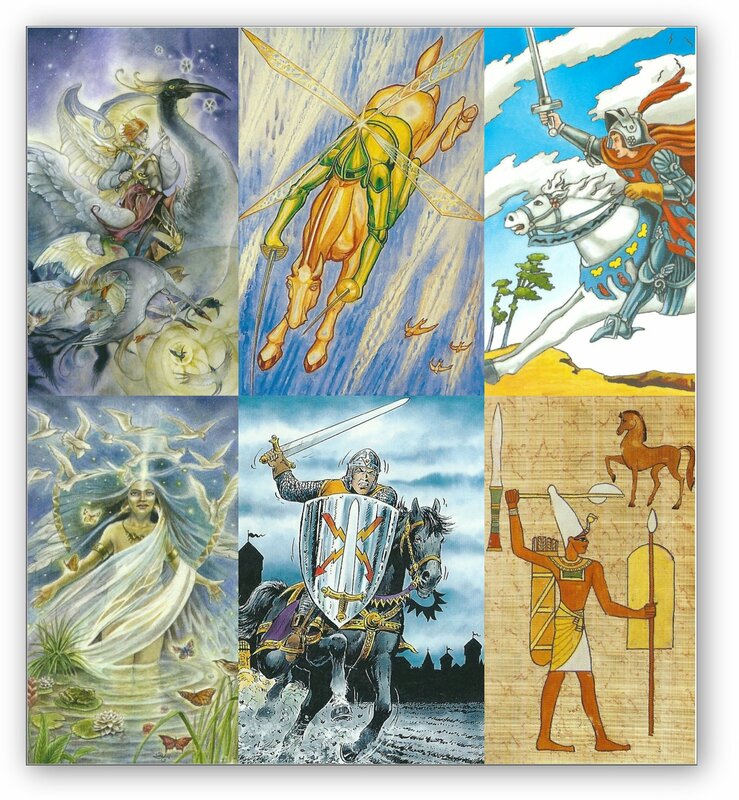 Famous Knights of Swords include Baron M�nchhausen, Arthur Conan Doyle, Pope John Paul II, Malcolm X, Queen Victoria, John Wayne, John F. Kennedy, Marilyn Monroe, and Cher. 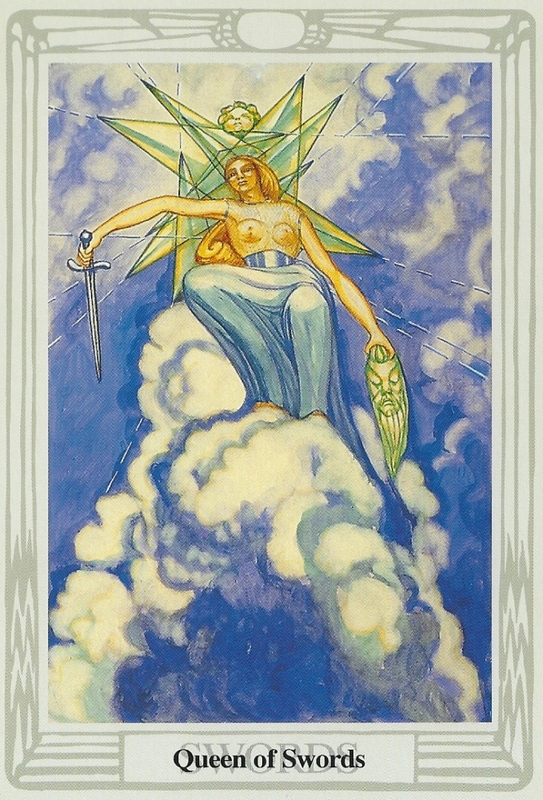 Sky blues, yellows, and white cirrus clouds dominate this card, as they do the Queen of Swords. 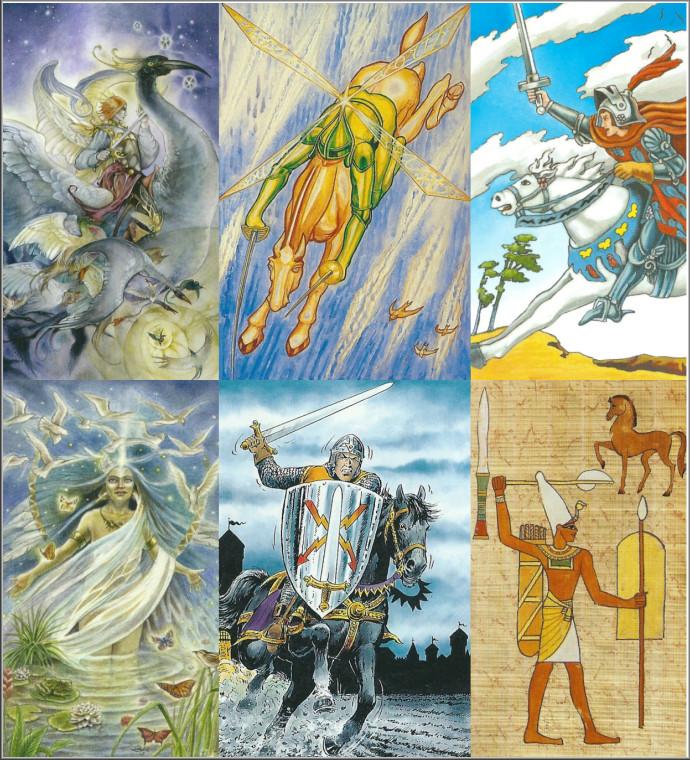 In the delightful handbook Tarot Made Easy by Nancy Green, the author specifies the Knight of Swords is akin to the type of situation and energy that is prevalent. When the Knight appears in a reading, a long-term condition will suddenly change. The focus is on renewed business activity, financial security, or potential enterprises; rising from obscure status to a more prominent or fruitful position; and decisions concerning investments, partnerships and love affairs. You have established a link with someone or something and want the chain of events to continue. Though you don�t see it coming, you will soon be swept up in a powerful love affair that is going to change your life dramatically. You�ll be pleasantly surprised by some unexpected good news about your career and positive changes in your home or work environment. A new romantic interest could also be indicated. You can expect many social calls, business calls and inquiries, as well as a commission or call for work. You will be doing a lot of socializing, entertaining, and coming and going, and that�s good because you won�t want to hang around the house; you�ll want to be out having fun. There will be several short trips or jaunts, one could be with a sweetheart; or a lover who�s been away will soon call or be at your door. Something you planned to do involving papers will not be completed at this time and you could take a tentative step toward a legal action. A very prosperous and influential period is at hand, and someone could enter your life who could manage your career, subsidize you, or move you into a much more prominent position. You will trust, then distrust, but progress will continue and your relationship will go on. Your emotional state will greatly improve through the intervention of another. You�ll be pleased about the possibility of a new enterprise to embark on, and the appearance of those who suddenly change your life both personally and professionally. A message from someone you like and feel comfortable with will brighten your day, and new information in a personal relationship will arrive that will change your perspective about that person, a positive change. There will be emotional discussions between you and a family member and you will be trying to sort things out. You will hear news of severe illness or death befalling another. Someone will be the unexpected catalyst to a brand-new business venture or bring opportunity that could increase your earnings substantially. You will trust, then distrust, your future, but progress will continue and you will be favorably aided in some way. A new friend will change the course of your experience or eliminate a problem or concern. You will discuss a trip or journey with a caller, and a suitor or potential lover will arrive. You will be hoping a letter will arrive, and you will soon receive a license or legal certificate. You�ll be worried that others are not keeping their agreements or commitments or that they�re unreliable, irresponsible or inept. Unresolved problems and disappointing or depressing elements will dishearten you. Your allegiance to an �era� establishment or untrustworthy partnerships will end. A new reality is going to dawn for you, one of simplicity, acceptance and grace; you will come to the full realization that there is no need to contrive solutions or assert any fixed ideas and will be willing to let the Universe direct your course. You will �inherit� an increase in finances and activity. Someone is going to enter your life who�ll be willing to promote you or move on your idea. You�re going to be very successful in your career, favorably aided by others, compensated for your work and efforts, and increasing your assets and finances. Luck will be with you in love, in money matters and in gaining influence, support or prominence. Someone is going to assist you or bring about changes in your present condition or status, and you will be very grateful. Mundane - This is a very good time for embarking on new projects. Problems will be solved (mental, physical, emotional, spiritual) and you�ll attract whatever you need in the way of help or assistance. 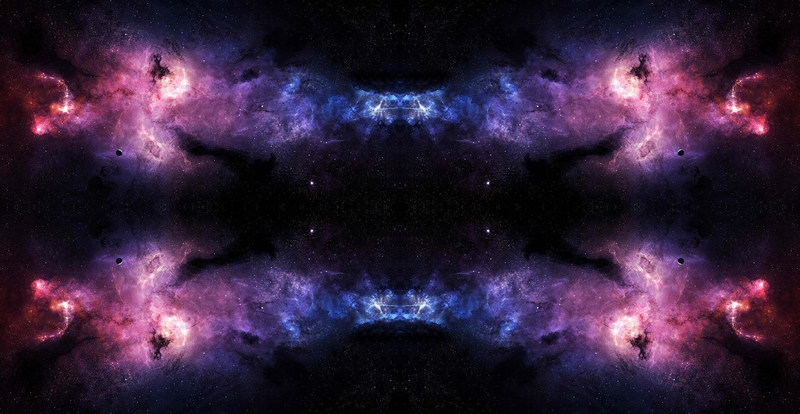 Esoteric - Your ability to visualize what you want and your deep desire to make it happen brings about not only material rewards but inner transformations as well. Don�t give up, you will receive an answer or clear-cut direction that will solve your problems and get you right back on track. 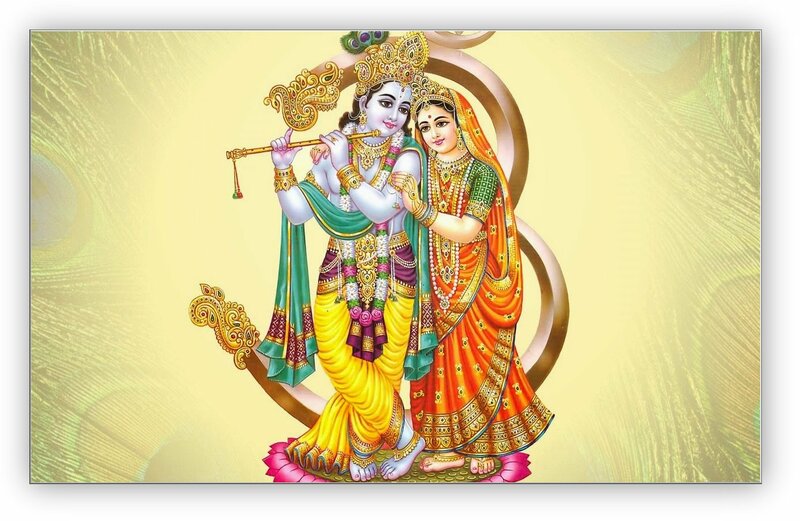 When the gorgeous Knight appears in your life, get ready for huge changes. 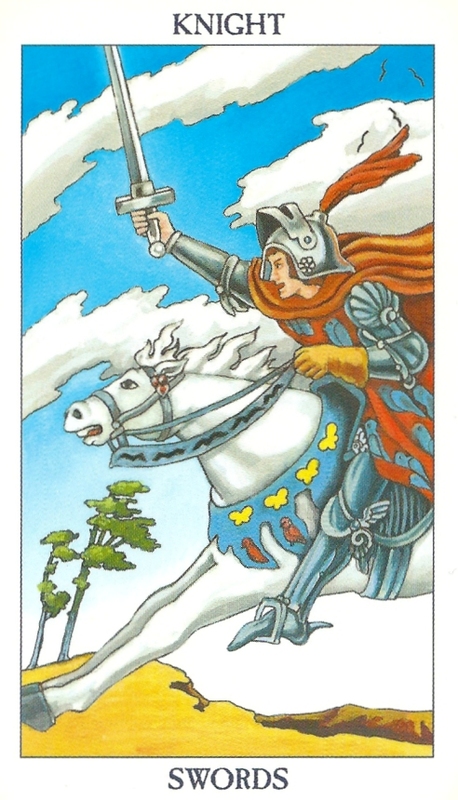 The Knight's energy will assist you in preparing and moving into a new paradigm, one that works better for you in your quest of Life!